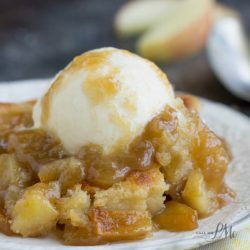 Best Caramel Apple Cobbler is a sweet taste of fall baked into a dessert. This recipe is comfort food at it’s best. 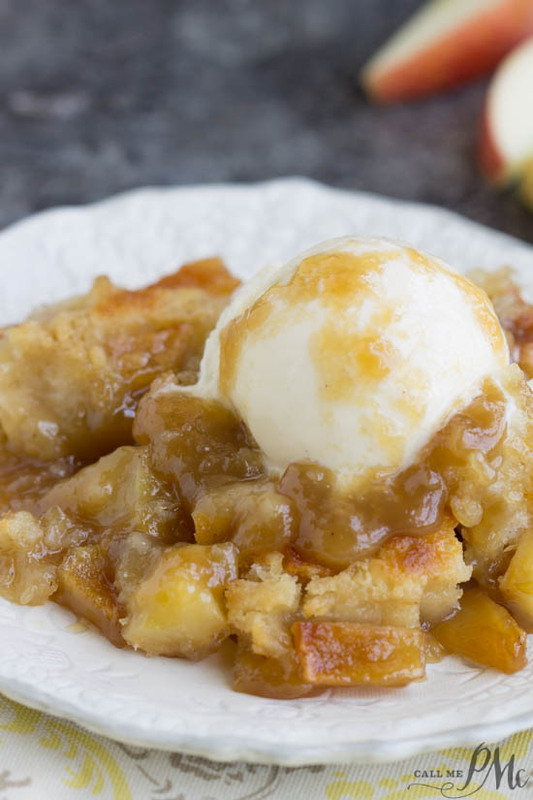 Tart apples, sweet caramel, and warm cinnamon combined with a buttery crust is the quintessential recipe to make during the fall months. 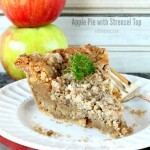 This dessert tastes like an apple pie but much simpler to make especially if you’re not an expert pie crust maker. 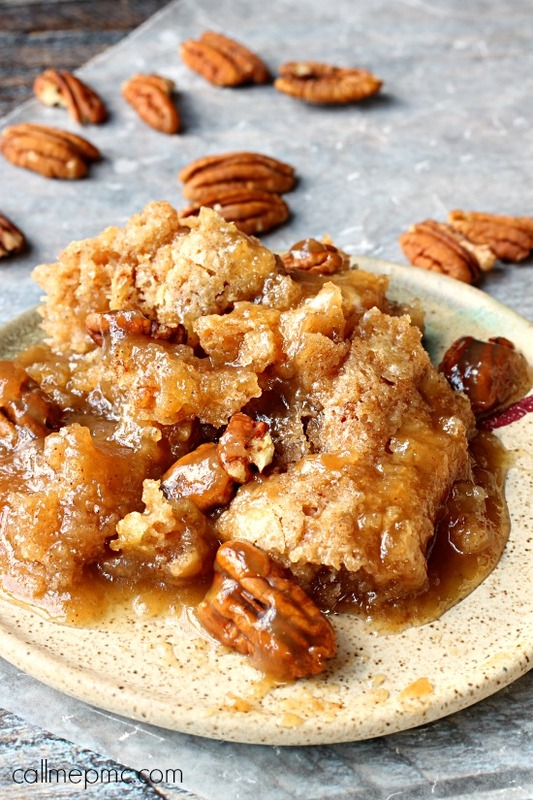 I enjoy the “bready” cobbler part of this dessert, it’s buttery and the brown sugar and water create a caramel sauce that really makes the dessert. The apples I chose retain their shape but are soft in texture. It’s a great combination of flavors and textures. 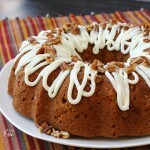 Just a note, I highly recommend serving it warm with a big scoop of good guality vanilla bean ice cream! When baking with apples the variety is important. I prefer a sweet, tart flavor and an apple that doesn’t cook to mush. 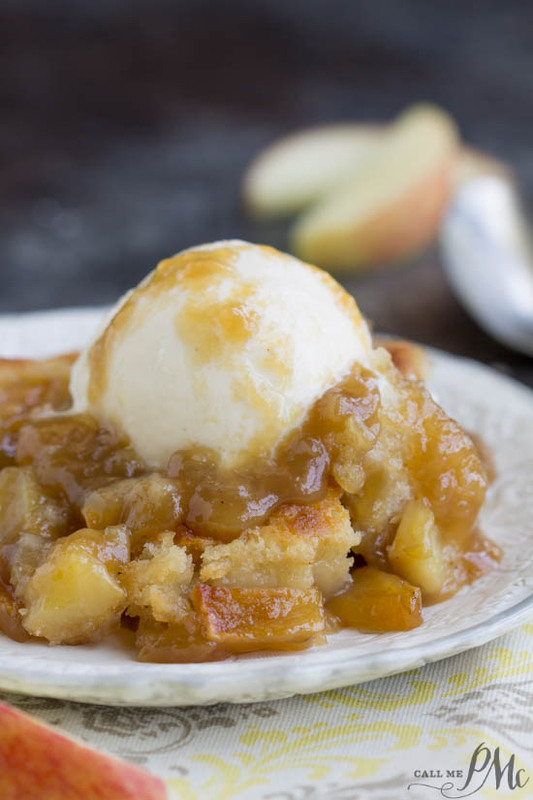 After all, I want Apple Cobbler not Apple Sauce Cobbler. 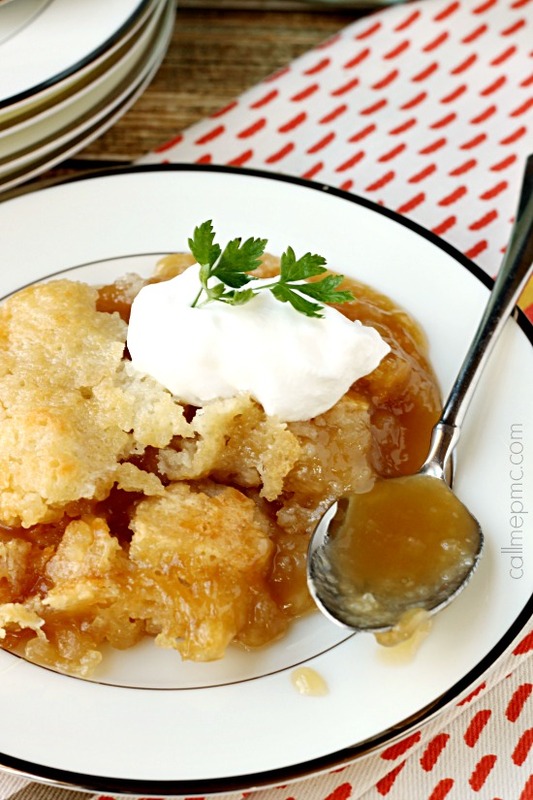 I used Honeycrisp apples for this recipe. 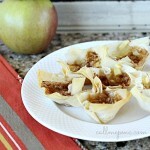 They are one of the top recommended apples for baking. Other apples that are good to use in baked recipes are Granny Smith, Gala, and Mutsu (Crispin). 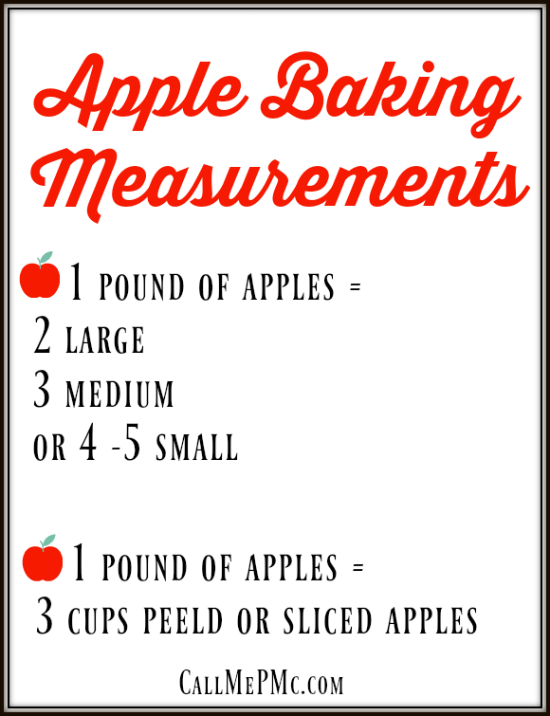 As well, cut your apples into varying sizes so that some pieces cook down into the cake while the larger pieces provide a nice, bright apple flavor. You can substitute all-purpose flour for the self-rising flour in this recipe. That substitution is 1 cup all-purpose flour, 1 teaspoon baking powder, and ¼ teaspoon salt. Obviously, adjust according to the recipe amounts. 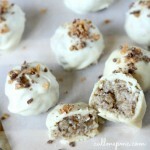 I’m not a fan of nutmeg if you aren’t either you may omit it in this recipe. 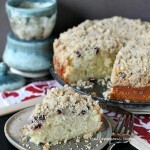 If you haven’t baked one of my other highly popular cobblers, you may not be familiar with the hot water trick. 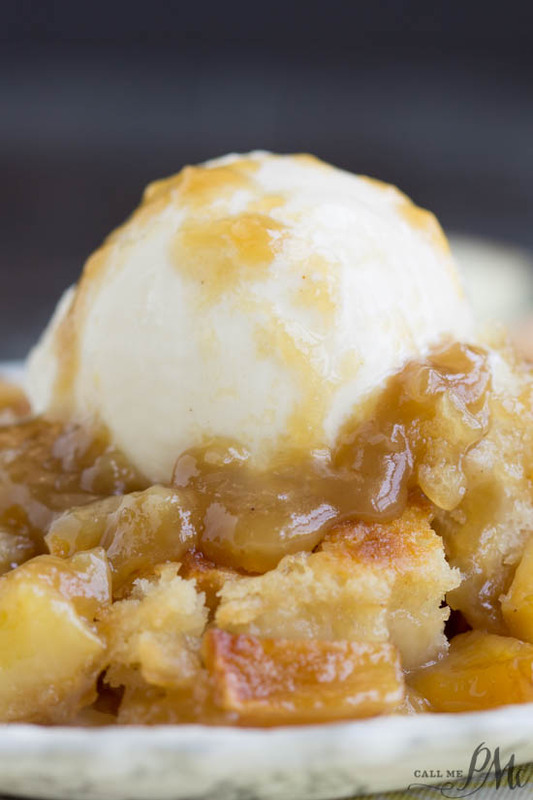 You may even think it doesn’t work and you’ve completely ruined the dessert. Have faith. It will work. 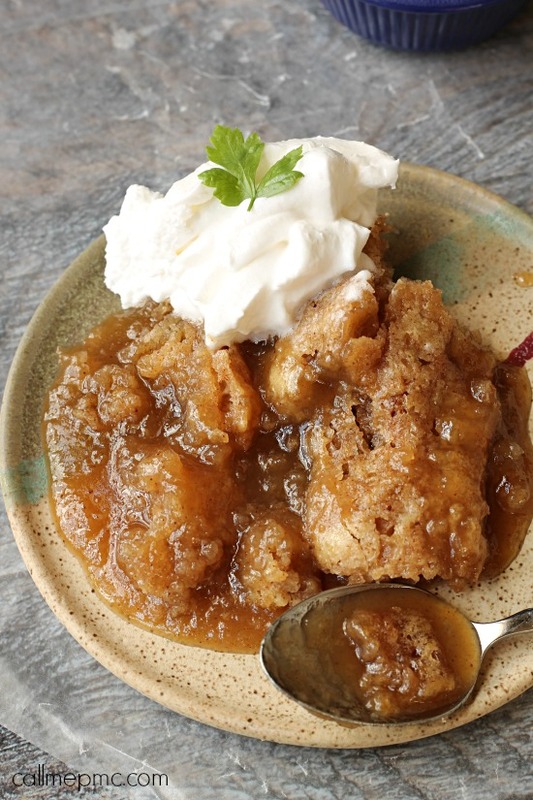 Now, I know these cobblers have a lot of sugar, but the brown sugar and hot water is what creates the caramel sauce. I don’t recommend reducing the amount of sugar. It’s a dessert after all. Enjoy it and do extra cardio to make up for it. I recommend fresh apples. I have not tested the recipe with apple pie filling. 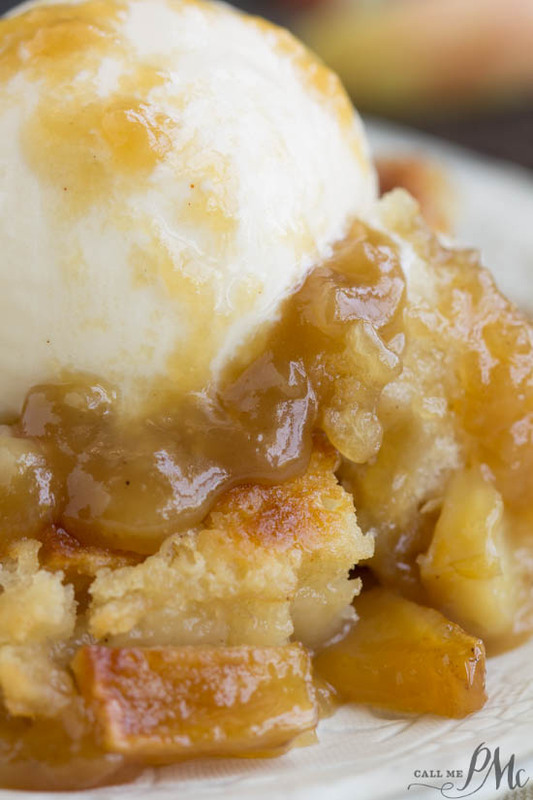 Best Caramel Apple Cobbler is a sweet taste of fall baked into a dessert. 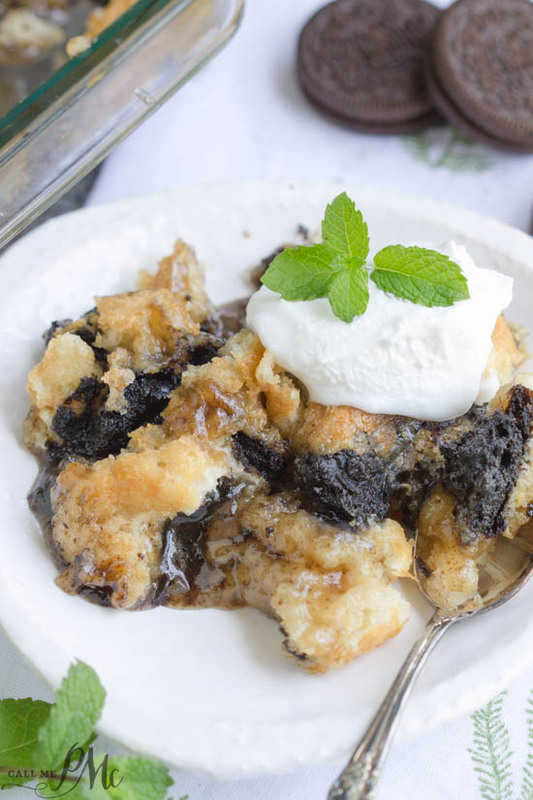 This recipe is comfort food at it's best. Tart apples, sweet caramel, and warm cinnamon combined with a buttery crust is the quintessential recipe to make during the fall months. Combine apples, butter, brown sugar, cinnamon, and nutmeg in a saute pan. Bring to a boil, then simmer until sugar is melted, about 2 to 3 minutes. Pour apples and sauce into a 9x13 inch oven-safe pan that has been sprayed with non-stick spray. 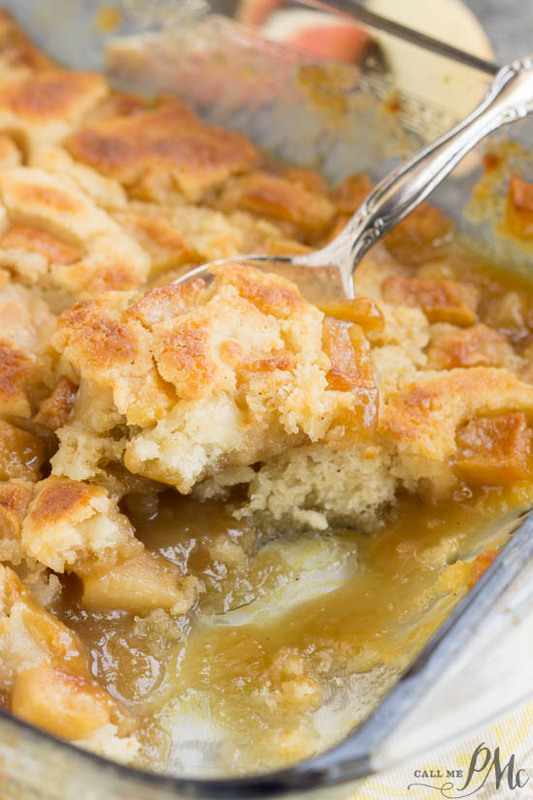 Carefully pour batter over the apples in the casserole dish. Evenly sprinkle 1 cup brown sugar over the top. And then carefully pour 1 and 1/2 cup hot water over the mixture. 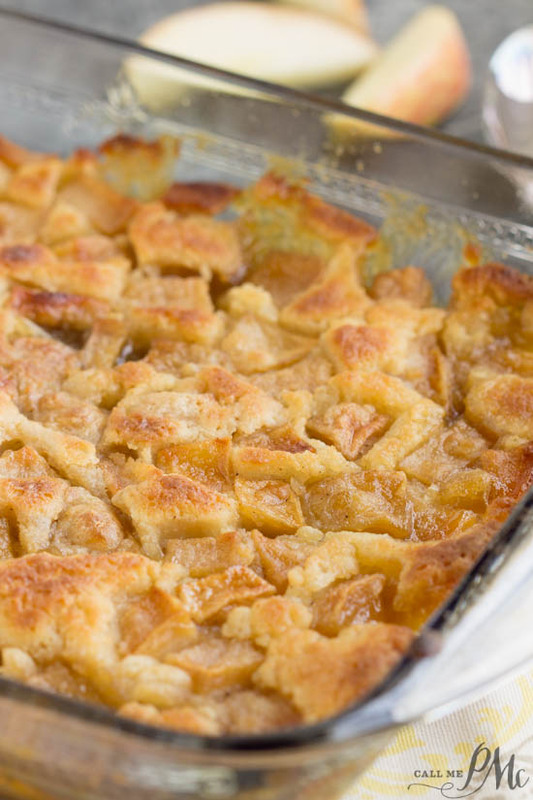 Bake at 350 degrees 50 to 55 minutes or until cobbler is set in the center and golden brown on top.